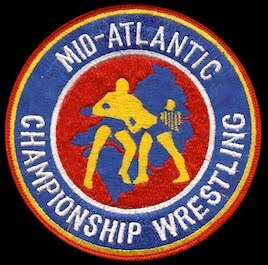 Like most Mid-Atlantic Championship Wrestling fans, I felt tremendous sadness when I learned that the “American Dream” Dusty Rhodes passed away recently. 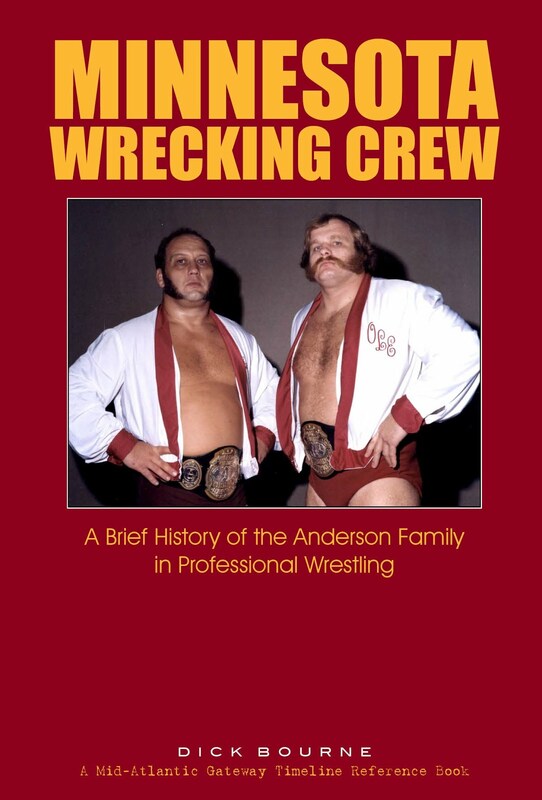 While I never considered Dusty a true “Mid-Atlantic” guy, he nevertheless cast a large shadow over the latter years of Jim Crockett Promotions and the professional wrestling world in general. Everybody that ever saw Dusty over the course of his career likely has a lasting memory of him…one match, card or interview that really stands out. I’m no different, though mine might be a bit obscure to some. 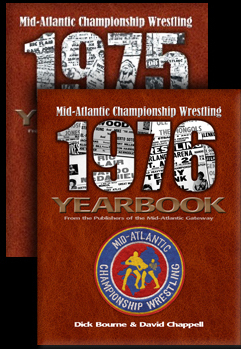 It occurred on September 4, 1976, which was Dusty’s first appearance in my wrestling hometown of Richmond, Virginia. Two weeks before that big event, it was clear that something unusual was up. 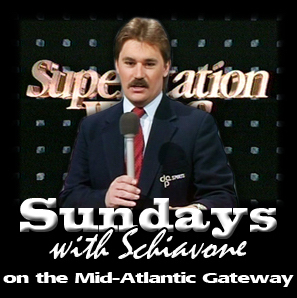 TV promo announcer Les Thatcher told the Richmond viewing audience to be sure to tune in next week “for a special announcement of interest to all Richmond area wrestling fans.” During the Mid-Atlantic years, I never remembered a “tease” like that during a Richmond promo for our upcoming Friday night matches. 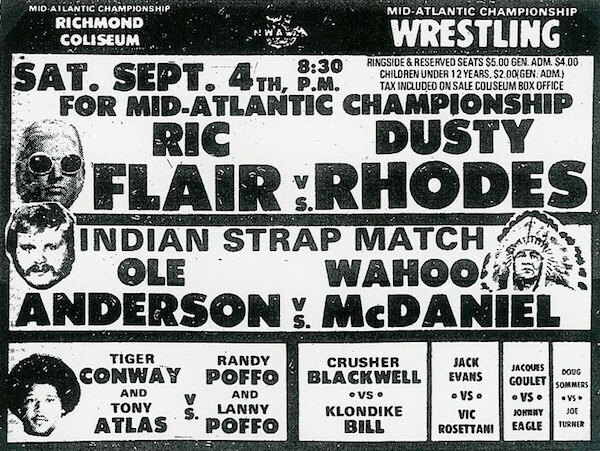 Sure enough, when the next week rolled around, Les Thatcher announced that the American Dream Dusty Rhodes would be challenging “Nature Boy” Ric Flair for Flair’s Mid-Atlantic Heavyweight Championship on a special Saturday night card at the Richmond Coliseum! Rhodes sent in a promo from Florida for the Richmond match, and it may have been the best promo I ever heard Dusty cut...and that covers a lot of territory. Dusty, saying he was “the greatest sports attraction in the world” and “287 pounds of sweet soul,” told the Richmond audience that he was coming to the Mid-Atlantic area, and was looking to capture all the territory’s Titles, in route to the World’s Heavyweight Championship. The “Dream” referred to his Richmond opponent, Ric Flair, as “talkin’ trash, and spendin’ cash.” Dusty told Flair and the fans in Richmond in no uncertain terms that “it’s all about the Mid-Atlantic Title around my waist! I’m gonna bring all the power, pandemonium and excitement and lay it right in your lap….Jack!" 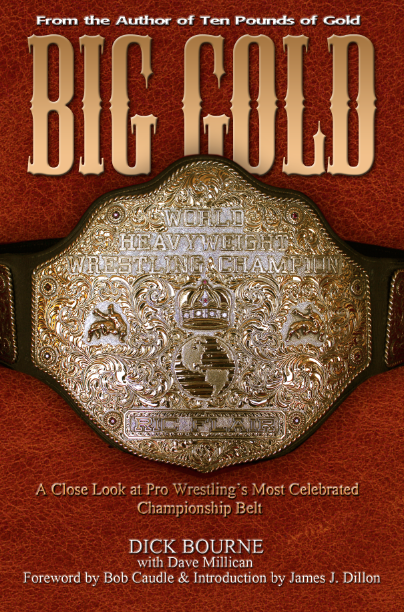 A massive Coliseum crowd welcomed Dusty to Richmond, and those fans appeared to have propelled the American Dream to the Mid-Atlantic Heavyweight Championship. Rhodes exuded the charisma he was famous for, and also showed off amazing athleticism for a man his size. 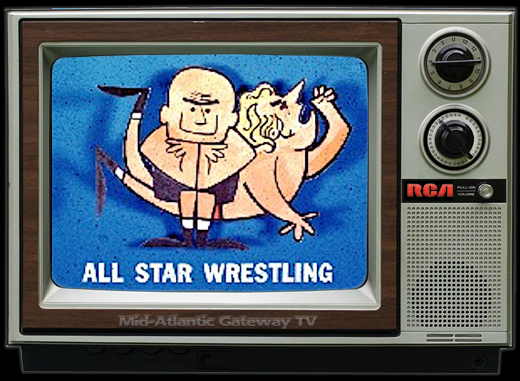 In a chaotic ending where Flair’s major Mid-Atlantic protagonist Wahoo McDaniel interjected himself in the action, Dusty pinned Flair and carried the Mid-Atlantic Title belt with him back to the dressing room! 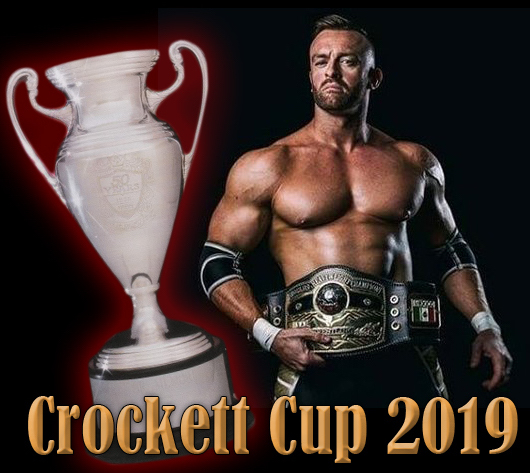 A Title change…or so the Richmond fans thought. 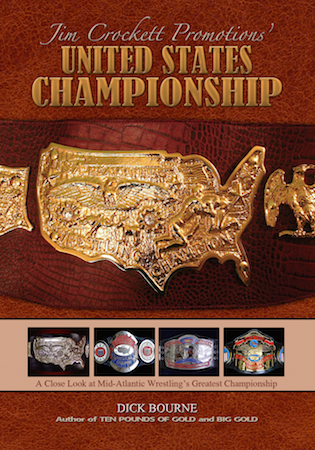 On the Mid-Atlantic Championship Wrestling television show that aired the following Saturday, Richmond fans were looking forward to Dusty Rhodes being introduced as the new Mid-Atlantic Heavyweight Champion in the opening segment. 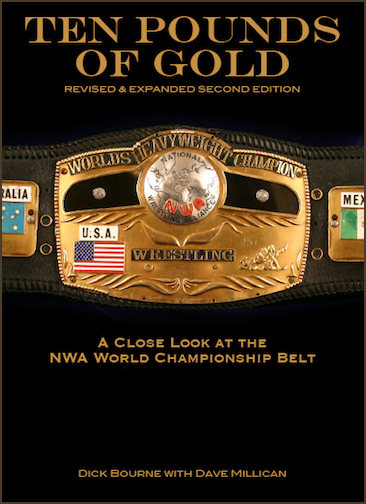 But in the show opening there wasn’t a word about the Title change…and Dusty Rhodes wasn’t even mentioned. Then the bombshell was dropped. So, Dusty didn’t win the Mid-Atlantic belt after all. 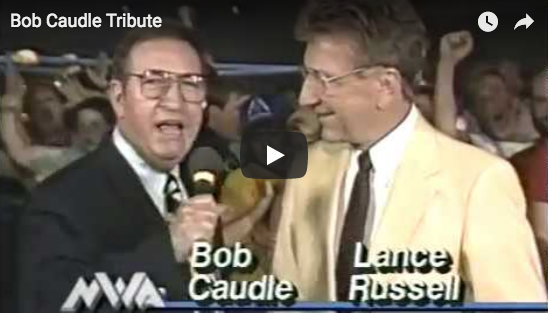 A “Dusty finish” before that term became part of the wrestling lexicon. To make matters worse, Rhodes didn’t become a Mid-Atlantic regular like his promo intimated he would. 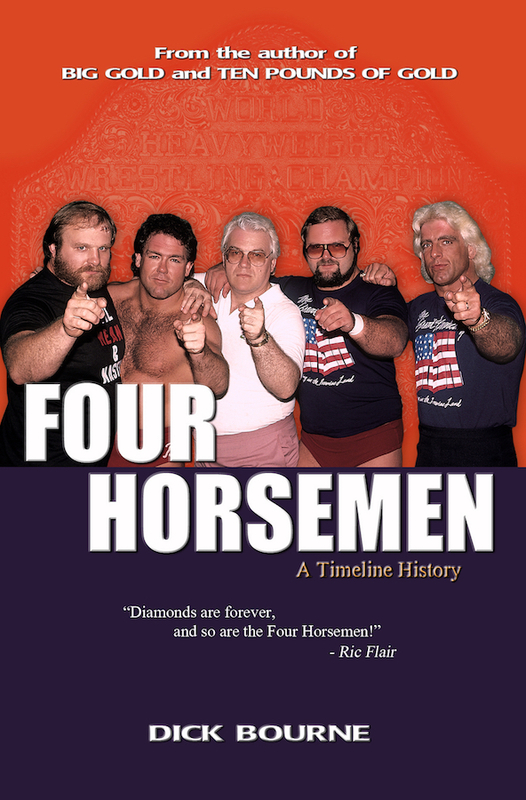 In fact, I don’t remember the American Dream wrestling again in Richmond until 1981 when he was the NWA World Champion, then Dusty wrestled several isolated bouts in Richmond in 1982 and finally in the middle of 1984 he did in fact come into Jim Crockett Promotions as a regular. Watching Dusty over the years, I always come back to his first Richmond appearance way back on September 4, 1976. In many ways, I see his career encapsulated in that initial Richmond appearance and its aftermath. Tremendous promos, charisma off the charts, solid work in the ring on the plus side, but “Dusty finishes” and Dusty overshadowing everybody and everything not Dusty on the not so positive side. Regardless of how you view the career of the American Dream in its totality, I doubt if any wrestling fan would argue against the statement that Dusty Rhodes was one of the biggest stars in the history of professional wrestling. 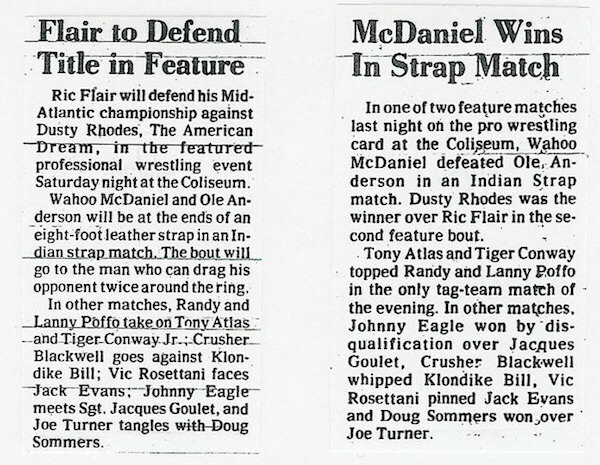 And I’m very glad the “Dream” made that first Richmond appearance in early September of 1976. It always gave me a point of reference as I followed his career in later years, and Dusty stayed true to that form for the most part over the years. 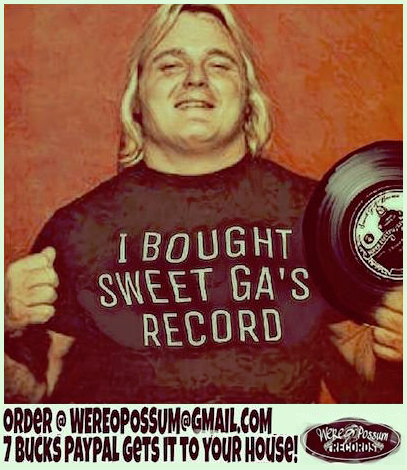 Truly, my first impression of Dusty Rhodes turned out to be my most lasting and enduring one.